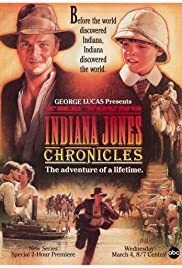 How many episodes of The Young Indiana Jones Chronicles have you seen? Remy: My poor Suzette! She will never see me again! Q: 9. Is the YIJ available on DVD? Q: 12. Are there YIJ books? Q: 4. Are there unaired episodes? Definitely one of the best series ever put out on TV. The historical intrigue was always interesting. Young Jones meeting Lawrence of Arabia, Picasso, and (my favorite) a very notable young Vietnamese revolutionary always kept your interest up. Plot lines, although sometimes a little trite, were usually well-done and faithful to history. Definitely a good successor to the movies with just enough action to boot. Too bad it's not still on TV.